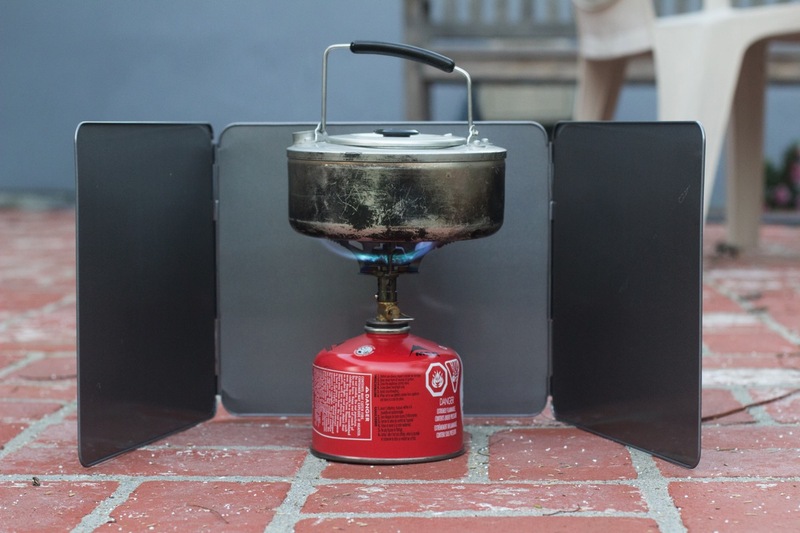 A kitchen splatter guard is just the right size for a backpacking stove windscreen. It costs $7 and weighs eleven ounces. A little heavy but a good choice for Boy Scout patrols. 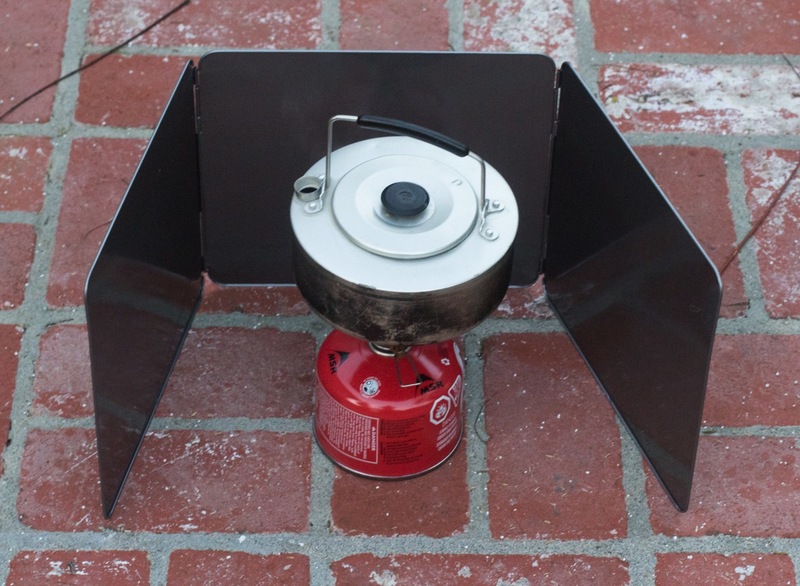 It is tall enough to shield the flame of a canister-topper stove and big enough to leave room around the fuel tank so it won’t overheat. A view from the top, showing the room for ventilation or bigger pots. Back in the 1970’s, my dad made a windscreen like this by bending some tabs on thin sheets of aluminum. The one I bought is the Norpro Nonstick 3 Sided Splatter Guard. Each panel is 10 inches wide and 9 inches tall. The Amazon price varies. It cost $5.55 when I bought it. 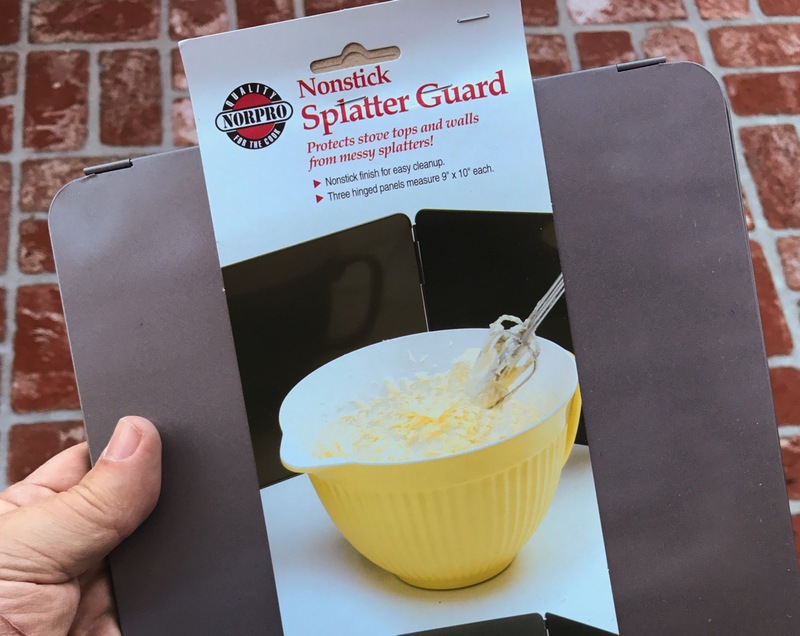 Similar splatter guards should be available at department stores or hardware stores that sell kitchen tools. I use very heavy duty aluminium foil to make guards, along the lines of those available from MSR. They have the advantages of being more flexible (in the sense of being adaptable to uneven terrain), foldable and very light. Do you have a source for aluminum foil in that thickness? Or any idea what that thickness is? Grainger sells a wide variety of foil in different thicknesses in width. Titanium foil works, but it costs more than $7 and can’t be folded. You have to roll it. Probably too fussy for your average 11 year old Scout. Not a bad DIY project for the dedicated backpacker. Hmm.